As with Live at the BBC, I can hear the Reeperbahn madness in the songs on Please Please Me – cheap, fast, rough and loud. Impressive that the majority of the songs are also written by John and Paul. Not only did they have time to speed through playing the songs, but also writing them as well. 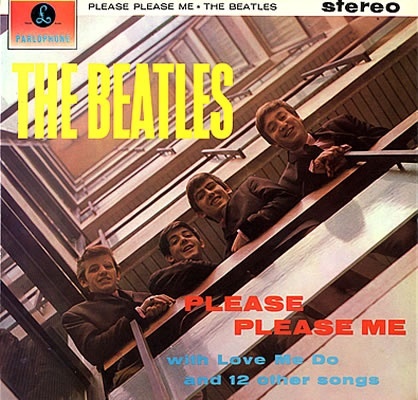 Please Please Me (the song) is a perfect pop song – kids can hear a more innocent meaning in the lyric, and adults can hear another one, and either freak out about it or laugh to themselves. When Play came out 11 years ago, things were so different. These days, in the age of sample freaks like Girl Talk and the entire mashup trend of a couple of years ago, it sounds almost quaint. I still enjoy listening to it and it’s beautifully done, it’s just interesting to note how it went from groundbreaking to old-fashioned so quickly. 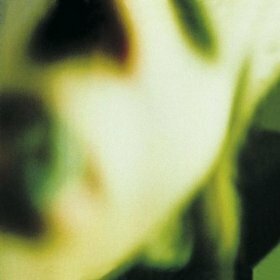 It’s very odd, considering it’s just a compilation of b-sides and demos, but I love Pisces Escariot more than any other Smashing Pumpkins album. Maybe when Billy Corgan isn’t obsessed with making a magnum opus, the songs are better. The Landslide cover was all over the radio back in the day, and was my first introduction to the songs of Fleetwood Mac. The CD was one of the first I remember with a CD tray trick – if you held up the back cover to light with the CD removed, the image in the CD tray is a new image combining the front and back images. 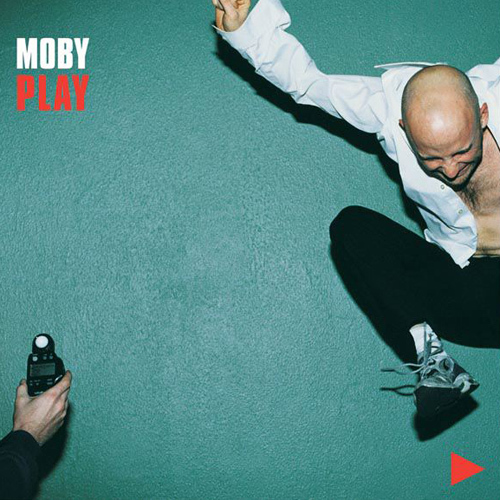 For a long time, I didn’t realize the front cover was a blurry face. It’s creepy now that I’ve noticed. 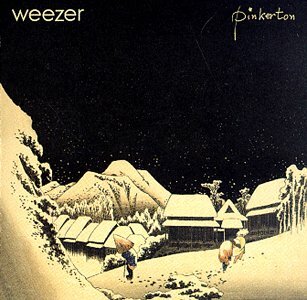 I remember being surprised when I heard this was cult album, since it hadn’t been successful the first time around and had only become loved over time when Weezer stopped making albums for a while. I’ve always loved it and thought it brilliant. I feel lucky I got to love it as a high schooler, which is I think is the perfect age for Weezer. 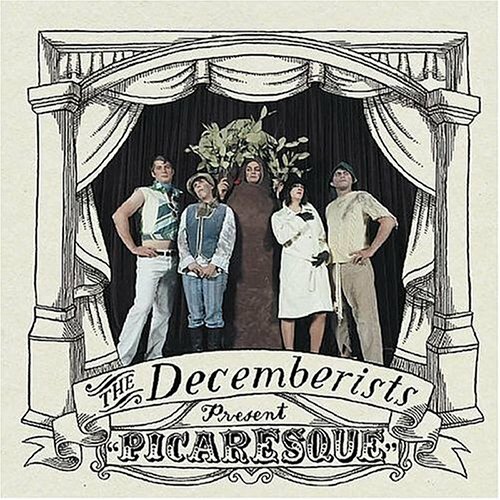 I have a love-hate relationship with the Decemberists. As an English major, I appreciate their way with “big words” and storytelling and the fact that some of their songs are modern folk songs in the traditional style. The dark tone of the songs is really fun. However, sometimes their style can border on pretentiousness. The music is good though – very folkie and lush. When I saw them at Coachella a couple of years ago, they were very fun and entertaining. The song about the whale was wonderfully illustrated and participatory. 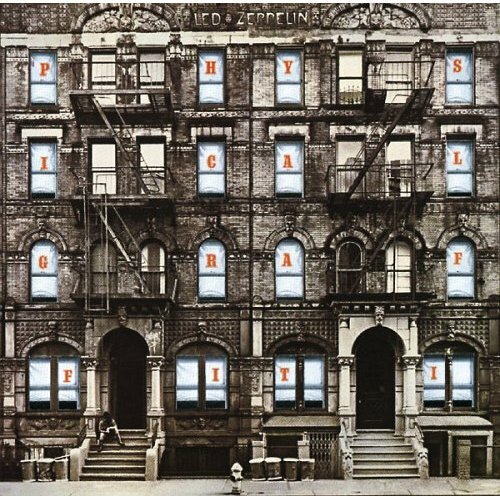 While I’ve noted that previous Led Zeppelin albums are air-punching or head-banging, this once is foot-stomping for me. Clearly, Led Zeppelin are a very physically oriented band, given these responses I have to their music. 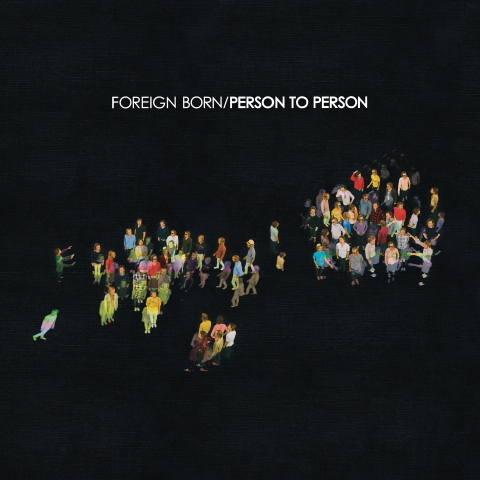 Woody introduced me to Foreign Born. Person to Person sounds similar to Vampire Weekend. It’s kind of like surf and indie music mixed up together. I really enjoy it; the songs are pleasant and singable. Woody went to high school with the singer. He said it’s not surprising the guy became a professional musician. He always seemed like the person who would go on to actually do it, instead of just dreaming about it.